Published: Dec. 23, 2018 at 06:11 p.m. Published: Dec. 3, 2018 at 09:37 p.m. 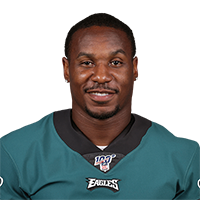 Published: Dec. 22, 2016 at 11:39 p.m.
Philadelphia Eagles running back Darren Sproles cuts through holes for the 25-yard TD run.